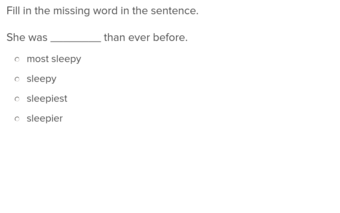 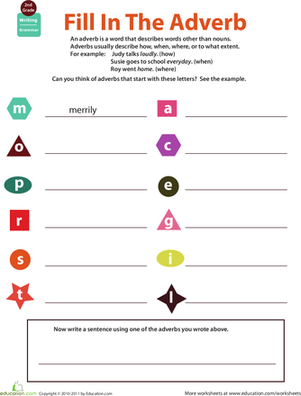 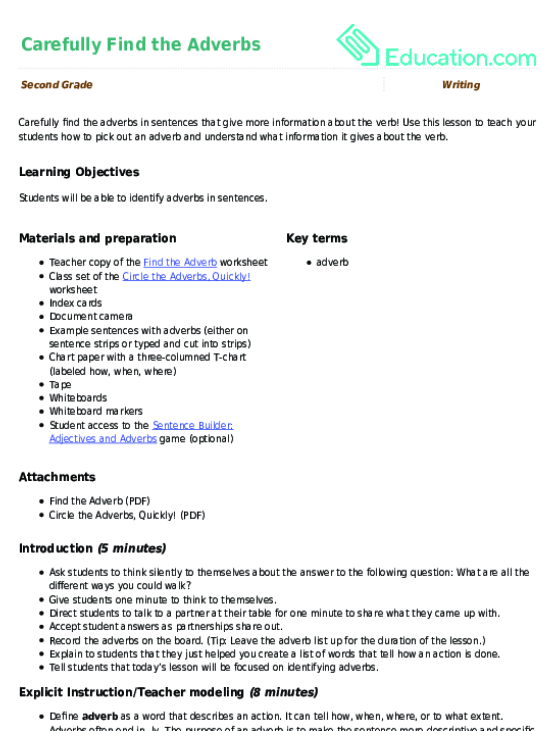 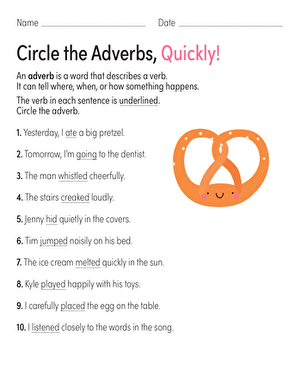 If your child needs practise with adverbs, this complete-the-sentence worksheet all about adverbs of degree is sure to help. 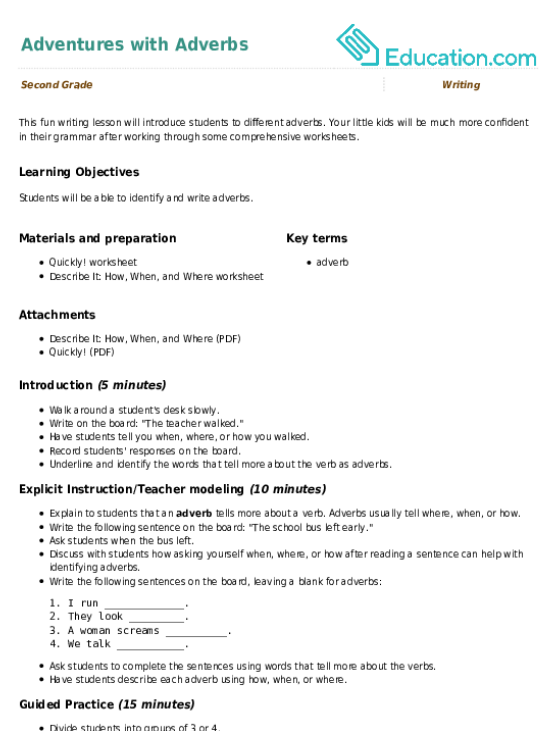 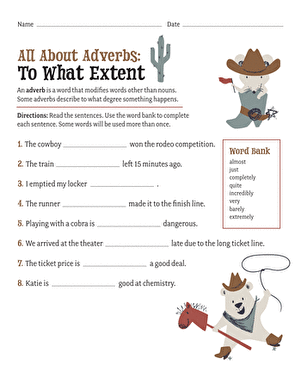 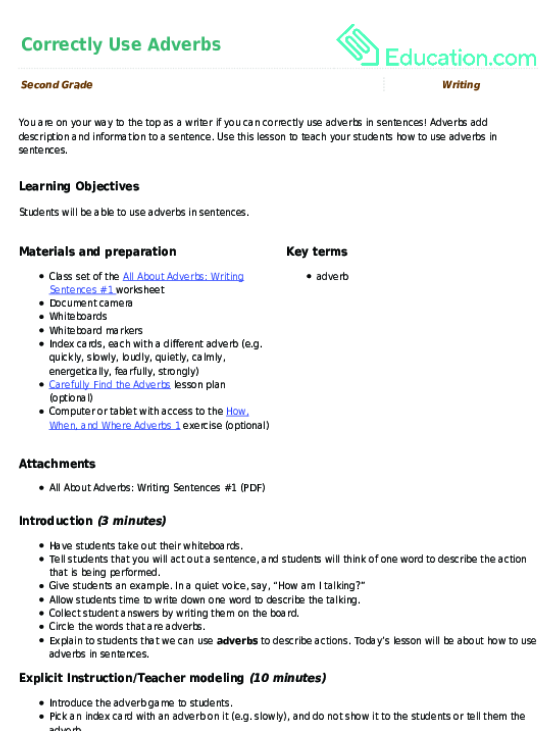 This fun writing lesson will introduce students to different adverbs. 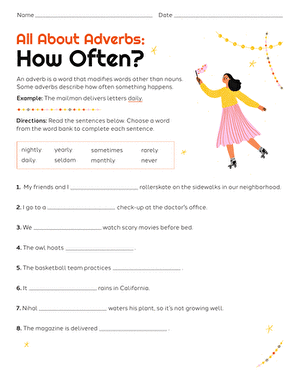 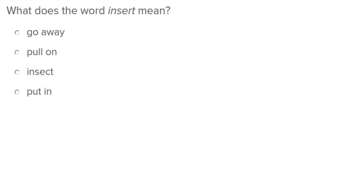 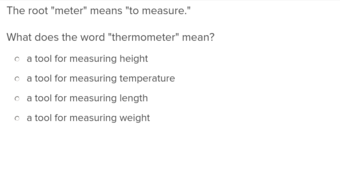 Your little kids will be much more confident in their grammar after working through some comprehensive worksheets.